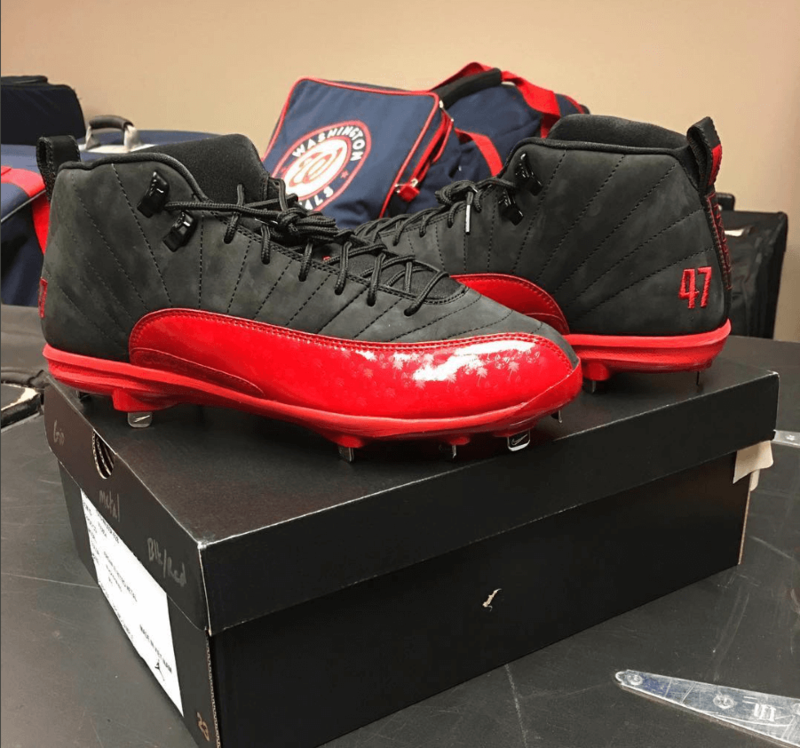 The term “Gamers” has never been more appropriate to a pair of cleats than it is to these. The Jordan flu game is one of the most iconic sports moments there is and it’s great to see these make the transition from the hardwood to the diamond. You can buy the 12’s at the link! Categories: Gio Gonzalez, Gear, Cleats, Washington Nationals, Pitcher.